The brake and accelerator pedals were color-keyed to match the interior of the cabin. Curiously, the emergency brake pedal was black in all cases. 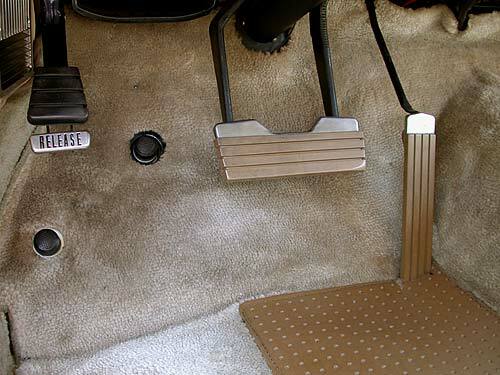 The small round pedals operate hi/low beam, and the signal-seeking radio.